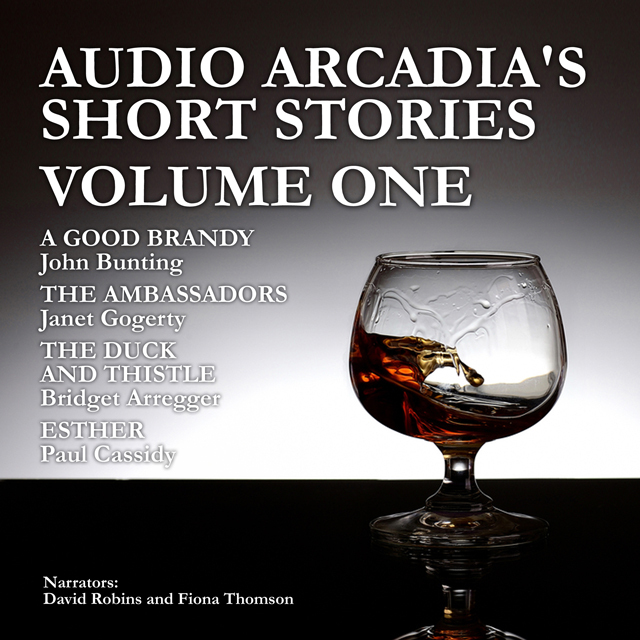 Audio Arcadia hold on-going short story competitions and below are the four winning stories in Audio Arcadia’s Short Stories – Volume One edition. For details on how to enter our competition, go to the “Home” page and press the “Competition” tab. A GOOD BRANDY by John Bunting: James Branding has been Prime Minister for only three weeks, when his phone rings late one night. As he answers it, little does he know that in the next few hours he will be fighting to save the nation from the gravest danger it has faced for over seventy years. THE AMBASSADORS by Janet Gogerty: Christine Seymour is used to not hearing often from her son, but when she receives a cryptic e-mail from him and the police come and take her computer away, she knows something must be wrong. It seems fortuitous when she discovers a private detective in a camper van at the country park. THE DUCK AND THISTLE by Bridget Arregger: Thistle is an acoustic engineering student on work placement in her local police station. Here she unexpectedly encounters the musical director, known privately as The Duck, from her community choir, in his work role as Chief Inspector. Thistle, who is a bit of a dreamer, naively tries to stand up for women's rights by kneeing an offending chauvinistic constable in the groin, and expects a severe reprimand. ESTHER by Paul Cassidy: Esther had an idyllic marriage to Steve. Or did she? As she nears the end of her life, what secrets has she concealed? What is fact and what is imagination? Should Steve re-evaluate his place in the family?